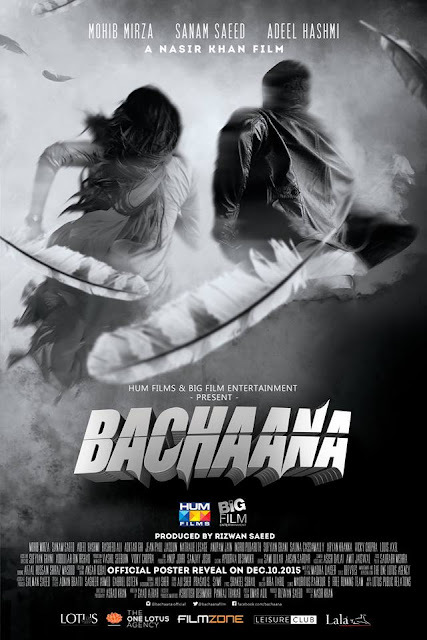 Lahore Big Film, jointly headed by Nasir Khan and Rizwan Saeed with their diverse backgrounds in cinema and filmmaking, proudly announces its partnership with HUM FILMS for its debut film venture #Bachaana featuring Mohib Mirza and Sanam Saeed along with Adeel Hashmi by revealing first look of the movie. Shot in the scenic locations of Mauritius, the romantic comedy features award winning actress and model Sanam Saeed (Aalia), who is a house hold name in Pakistani drama industry and across borders due to her acting skills in dramas like “Zindagi GulzarHai”. Alongside Sanam Saeed, Mohib Mirza (Vicky) plays the leading role who has worked as a host, producer and actor in leading Pakistani dramas and telefilms. The film also features one of Pakistan’s leading comic talent Adeel Hashmi. #Bachaana’s official poster and launch date is set to be released on 10th December 2015 across Pakistan. Directed by Nasir Khan, a graduate from McGill University in Canada who has worked in different genres of entertainment ranging from television dramas to television commercials both internationally and locally, #Bachaana is produced by Rizwan Saeed who is a self-taught filmmaker and head of production at Big Film Entertainment.